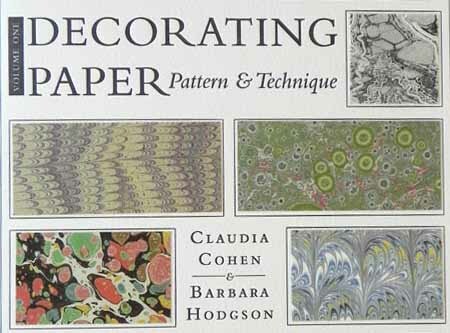 This two-volume set examines in detail eight major paper-decorating methods, & various techniques that fall into each category. 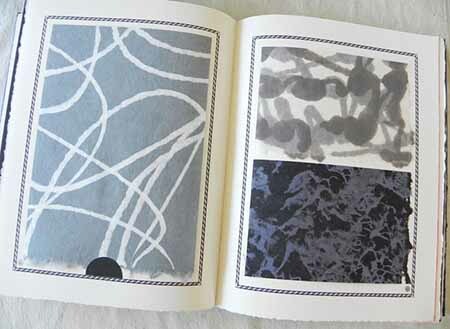 The first volume focuses on papers decorated by hand: random patterned papers, pulp patterened papers, paste papers, and marbled. The second on papers decorated by some kind of printing/mechanical technique: stencilled & resist papers, lithographed & glazed, embossed, and relief printed papers. The historical and technical text (approx. 80 pages total) are illustrated with over 500 samples of the papers being discussed: these include samples of marbling, paste decoration, embossing, pulp manipulation, lithography, block and linocut printing, stencilling and airbrushing from the 19th and 20th centuries, along with contemporary examples (some made specially for this book). A sampling of Dutch giltand block-printed papers from the late 18th to early 19th century is also be included. The set also includes an extensive bibliography.